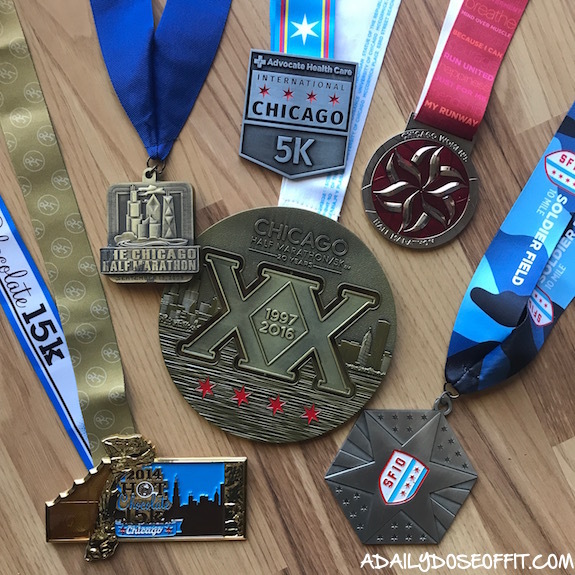 In my almost ten years of running, I've finished at least ten official half marathons. Remember, I was the girl who swore them off. Now, the distance is very much my favorite. "I teach group fitness and don't have the energy for more miles." "I have two kids, so maybe when they're older." "I really don't feel the need to." Truth be told, the marathon scares me. You've heard the stories, right? Of death and collapsing and pain and misfortune? Yeah, no thanks. And even though I'm loving the half marathon, they've always been a challenge for me. Except all of that changed this year. Something clicked. I started doing actual workouts to improve speed and consistency. I dialed in my nutrition before, during and after races and training runs. 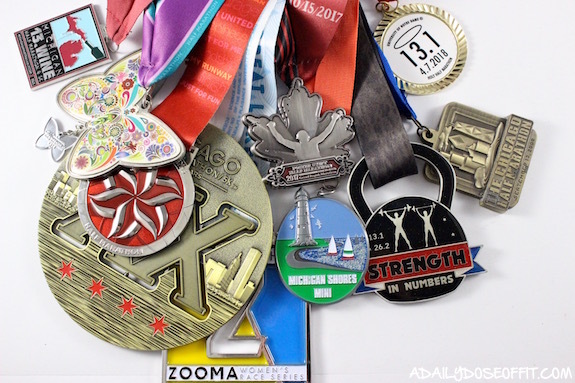 And I finished a half marathon this year that left me wanting more. So I feel pretty good about my running abilities. And because of that, I generally just believe in myself a little more. I also know that I'm heading toward having both kids in school all day, which eliminates the "maybe when they're older" excuse. Honestly, though...all of my excuses are silly. And for the first time ever, I can see myself running a full marathon. It excites me. It still scares me, but I'm okay with that. I am ultimately fearless, right? 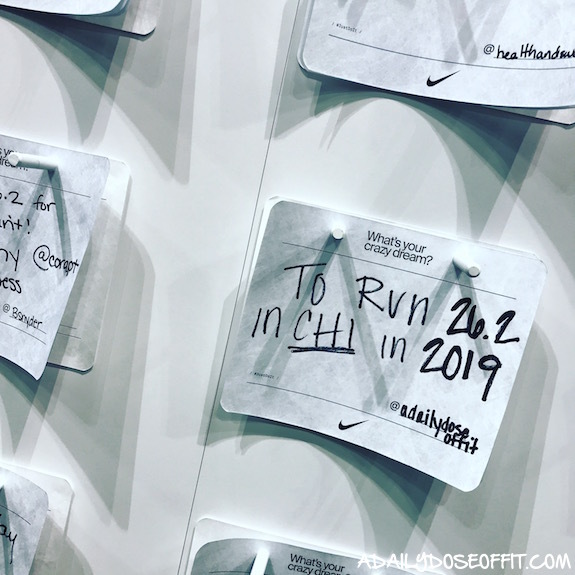 I went to Chicago the weekend of this year's marathon to purposely surround myself with marathon fever. And boy, did I catch the bug. The city, one of my favorite cities ever, came alive with runners. 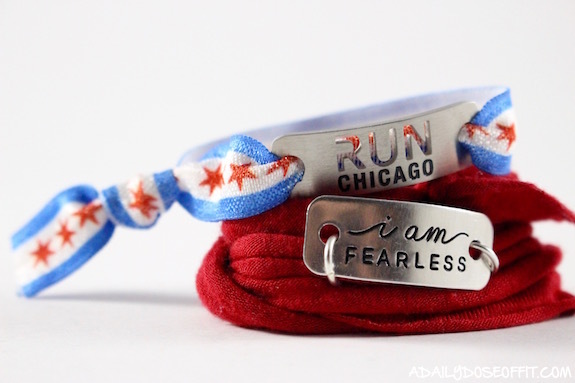 The Chicago International 5K was an amazing race. It was full of running celebrities, marathoners and non-marathoners like myself. Everyone was excited, whether or not they were running the actual marathon. 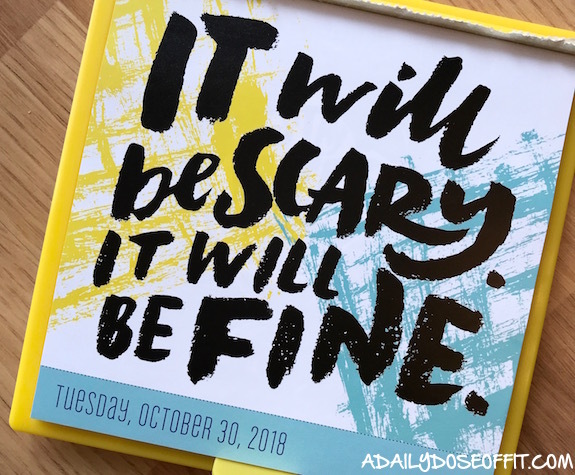 I stood at a podium writing that bib out at the Abbot Health and Fitness Expo when a man walked up to me: "I did that same thing last year, and I made it back. I'm running my first marathon on Sunday. Go put that on the wall. I'll see you again next year." "Why aren't my page views up?" "Why doesn't that brand want to work with me?" "Why can't I make more money?" Truth be told, the answers to those questions required actions that turned my creative outlet into a job. 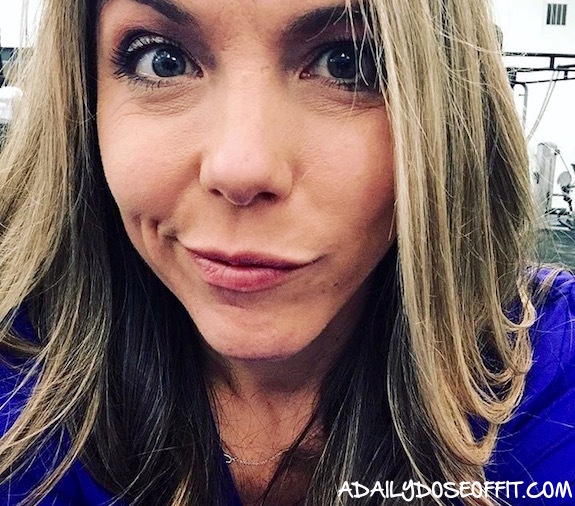 I wanted to be a successful blogger in every sense of the word, but I also wanted to share my perspective. To share me, my experiences and my interest in fitness so that I could truly and genuinely inspire others from the bottom of my heart. But I couldn't balance being a blogger with being true to me and my message. And I was also really busy, so it was time to walk away for a bit. Maybe forever. I needed a break to focus on my job at the gym. I needed a break to focus on my job at the running store. I needed a break to focus on my family. And the easiest thing to let go of was A Daily Dose of Fit. But I did something today. Something big and exciting that scares me just a bit. If I play it right, though...I know I'll be fine. I still have the gym job. I still have the running store job. Life with two kids is crazier than ever. But this thing I'm working on, it's going to be an adventure I won't forget. And I'm going to need somewhere to talk about it. I don't care about page views. If a brand wants to work with me, great. I'll consider it if their message fits mine. But I won't be actively seeking out partnerships like I used to. Because I don't want to be a blogger anymore. I just want to blog. That's what I do. I write.